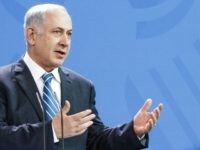 Prime Minister Benjamin Netanyahu met Wednesday with Israel’s newly returned judo delegation to the Olympic Games in Rio, telling bronze medal winners Or Sasson and Yarden Gerbi that they are inspiration to the whole country. TEL AVIV – Egypt’s Judo Federation denied on Tuesday that Olympic athlete Islam El Shehaby had been sent home for refusing to shake the hand of his Israeli opponent after being defeated. Israel’s Olympic bronze medalist Or Sasson said that tensions ran high between the Egyptian and Israeli judo delegations even before the now-infamous rejected handshake with Sasson’s Egyptian competitor Islam El Shehaby. A spokesman for the International Olympic Committee said that the IOC would look into the refusal by Egyptian judoka Islam El Shehaby to shake the hand of his victorious Israeli opponent Or Sasson after their first round match in the men’s over-100kg competition at the Rio Games on Friday. 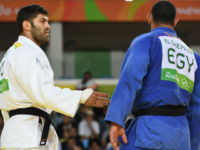 Egyptian judo fighter Islam El Shehaby was loudly booed at the Rio de Janeiro Olympics after his first-round loss to Israel’s fifth-ranked Or Sasson, when El Shehaby refused to shake Sasson’s hand, in a major breach of judo etiquette.